Here’s a little inspiration for a dragon themed party. Take inspiration from this massive dragon by Ai WeiWei. Click the picture to see our video and read more about this work of art! Our dragon decoration for watching How To Train Your Dragon 2, from our friends at Dreamworks. Whether you are planning to watch How To Train Your Dragon 2 and have a little watching party or you’re getting ready to celebrate Chinese New Year this is a great idea inspired by our trip to the Ai Wei Wei exhibit at Alcatraz Island. You could use construction paper and create a dragon using this idea or you could get those flat fans that they have at Asian markets, or use paper plates like we did here. Dragons Defenders of Berk tattoos for design ideas. Kids and adults alike will enjoy designing their own panels like Ai WeiWei did in the construction of the massive dragon currently on display in his four part exhibit. Once the panels are completed, string them together to assemble your own dragon. Hang from the ceiling as decoration for your movie night!. If you use fans you can even let everyone take theirs home after the movie as a party favor. Here are a couple of tips to make sure your dragon looks fantastic: limit the colors available to your guests. We recommend 3 to 5 colors. That will help each panel relate to the others and keep your dragon looking pulled together. 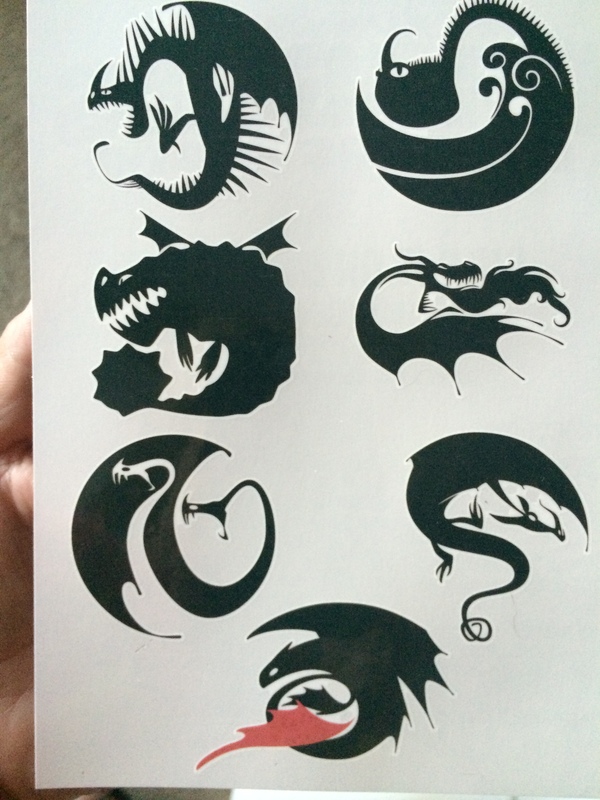 You might try black, white and red like these cool temporary tattoos from How To Train Your Dragon 2, or you could use all the colors for your guests, but insert a solid colored panel in red between each of your guest’s creations, so the piece hangs together. Make the head first. Don’t be afraid to get creative and make plumes of fire and or smoke coming out of the mouth of the dragon. The head of the dragon will inspire your guests and help them get into the spirit of the whole project. Don’t obsess over the hanging part (it will ruin your party and your own good mood). Hanging a dragon like the one in the Ai WeiWei exhibit is no small undertaking. It is carefully calibrated, balanced and meticulously hung. Don’t even try. You are in it for the fun and the whole thing is coming down before the night is over, so give yourself a break. It wasn’t easy to get our plates hanging in the same direction with extra effort for the camera. Serve popcorn after the project is complete and play music while you work. We let people design whatever they wanted. We had tea for the adults (see my How To Train Your Dragon Mug? Thanks FHEI!) After the movie, we’re breaking out fortune cookies. Gather supplies. Notice the limited palette. 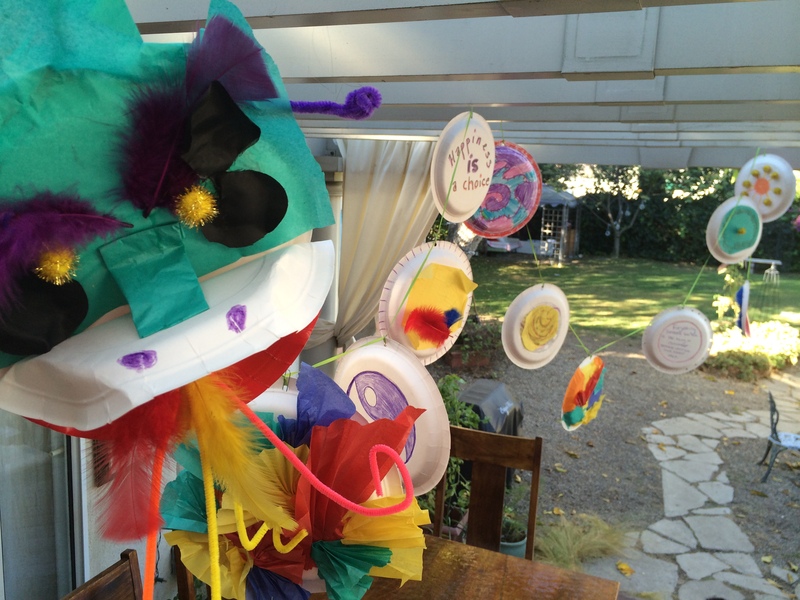 Tissue paper, paper plates, crayons, glue, hole punch, feathers, pompoms and pipe cleaners. This is your chance to be creative. Use buttons, ribbon, colored pencils or markers. We built the head first. When all the pieces were complete, we worked out their order on the floor, before stringing them together. Hang at intervals of about 1 foot or less. The links below are Amazon affiliate links. If you make a purchase from this page we will receive compensation for advertising and you will help to support the EncinoMom family of friends who make this site possible. Thanks! Rocky & Bullwinkle & Friends Giveaway! We are thrilled to present this special giveaway for our YouTube Subscribers! On May 31, 2014 we will hold a random drawing for the Rocky & Bullwinkle & Friends: The Complete Series of DVDs in a boxed set! That’s 5 years worth of “moose & squirrel” with all of their friends. Thanks to Tiffany Ward, President of Jay Ward Productions, Inc. for suppling us with this prize for your utter delight. Click here to enter: a Rafflecopter giveaway. Jay Ward brought Crusader Rabbit to television, “WABAC” in the late forties. Crusader Rabbit was the first cartoon on TV. Nearly a decade later, Ward followed with the first half hour cartoon program: Rocky & Bullwinkle & Friends. Whether you watched in first run (1959 – 1964) or reruns, these cartoons continue to entertain viewers of all ages, even 50 years after they aired. The look of these animated characters defined an era and creators crossed over into commercials establishing brand icons like Captain Crunch (who happens to look very similar to the late Jay Ward himself). Enter to win! Click here for details. NOTE: For your convenience this post contains an Amazon Affiliate link to the boxed set so you can see the prize being offered and purchase directly just in case you can’t wait for the drawing. I think we’ll have to put this in our Father’s Day Gift Guide, too! It’s the perfect gift for rad Dads. Open to continental U.S. EncinoMom YouTube Channel Subscribers only. Void where prohibited. Must be 18 years of age to enter. The value of the giveaway is MSRP $100! Winner will be chosen at random and must provide their name and shipping address to EncinoMom.com. Prize will be shipped directly from Jay Ward Productions, Inc. EncinoMom.com is hosting this product giveaway from Jay Ward Productions and is not responsible for prize or delivery of same. EncinoMom is hosting this giveaway to increase YouTube Subscribers to our channel. 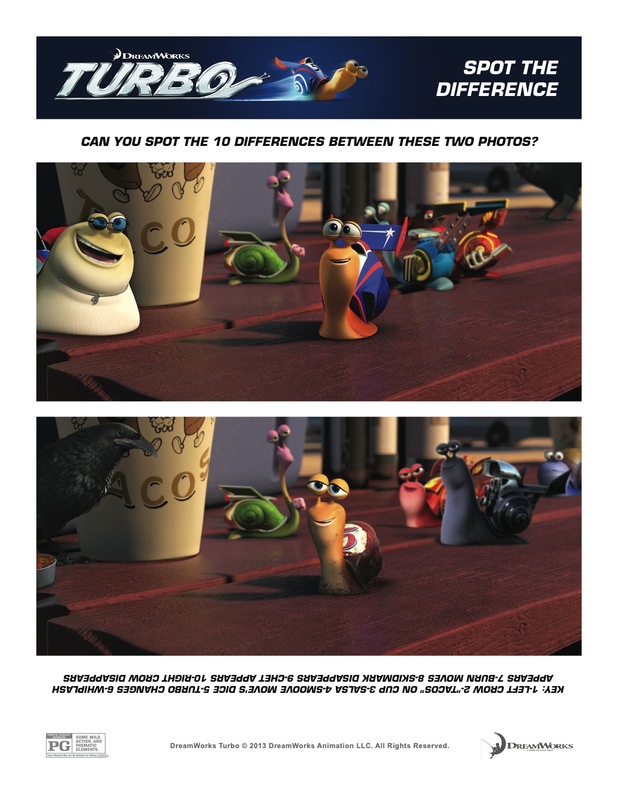 We attended press events related to the release of Mr. Peabody & Sherman including a press screening, book, calendar and other promotional products. We believe Mr. Peabody & Sherman and the Bullwinkle & Friends boxed set to be suitable for our audience and are promoting these products without further compensation. Thanks for entering & good luck! Click the picture to enter the raffle! We hold these giveaways to give something back to our readers and followers! Join the EncinoMom community today, to participate in these great special offers. Click the box art at right to enter drawing. I love these! Hope you do, too.